Racist newsletters published under Republican presidential contender Ron Paul's name were reportedly approved by him, according to the Washington Post. Paul recently said he never approved those newsletters from the 1990s before they were sent out. But close associates to Paul at the time now say that the controversial libertarian did sign off on them. "It was his newsletter, and it was under his name, so he always got to see the final product … He would proof it," said Renae Hathway, a former secretary in Paul's company and a supporter of the Texas congressman, to the Washington Post. An individual involved in Paul's numerous businesses said that Paul wanted to boost sales and felt that adding offensive material to the newsletters might boost numbers. "It was playing on a growing racial tension, economic tension, fear of government," said the person, who supports Paul's economic policies but is not backing him for president. "I'm not saying Ron believed this stuff. It was good copy. 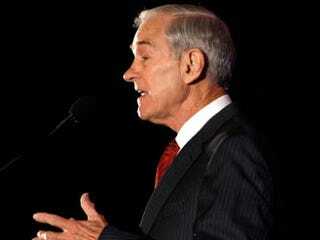 Ron Paul is a shrewd businessman." Paul's presidential campaign spokesman, Jesse Benton, said the accounts of Paul's involvement with the newsletters are untrue. He said that the offensive material was published at a time when Paul was practicing medicine, not writing. "Paul abhors it, rejects it and has taken responsibility for it, as he should have better policed the work being done under his masthead," Benton told the Washington Post. Before the current presidential campaign, Paul took responsibility for the newsletters. Since he began running for president, he's chosen to distance himself from them. But when you look at the questionably racial comments made by Newt Gingrich and the rest of the Republican field, as crazy as it sounds, you wonder if Paul would be doing better at the polls if he did say he had approved of the newsletters. Sad as it is, Gingrich's swipes at minorities during debates in South Carolina seemed to work for him.